Born in Valenciennes, Harpignies began to paint seriously at the age of twenty-seven when he became a student of Jean Archard. Under Archard’s tutelage he traveled to Holland, Brussels, and Flanders to study the Northern landscape artists of the 17th century. In 1852 he established his own studio in Paris and met the artists Gérome, Hamon, and Corot. He explored figural compositions from 1853 to 1856, after which he devoted himself to landscapes. 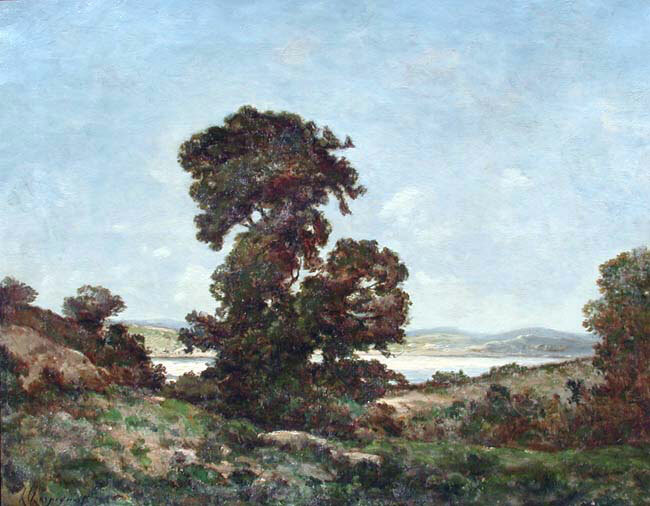 He made his debut at the Salon in 1853 and exhibited there throughout his career, establishing himself as one of the leaders of the Barbizon School. He died in Saint-Privie having won the Legion d’honneur and the Grand Prix at the Exposition Universelle of 1900. Please contact us if you are interested in selling your Henri Joseph Harpignies paintings or other artwork from the 19th century and early 20th century.